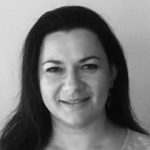 Since graduating with a Bachelor Degree of Physiotherapy from Tel Aviv University in 2000, Natalie has focused on broadening her knowledge in various aspects of the art and science of Physiotherapy. In recent years, Natalie discovered a special interest in Hand Therapy and became passionate about this fascinating and complex field. In 2012, she successfully completed the requirements of the Hand Therapy Certification Commission to become a Certified Hand Therapist. Natalie lives in Burnaby and enjoys outdoor activities and spending time with her family.